My skincare routine is something that I need to work on. Leading quite a busy lifestyle, it's the first thing that slips. Whilst I cleanse and moisturise in the evenings, I rarely do much else with my skin. For me, this seems to work, but as I'm getting older (sob!) I know it's something I need to take the time to do. I was recently contacted by Becky who is a health and wellness consultant for the brand Arbonne and she asked me if I wanted to try some of their skincare range. She told me it was Vegan and cruelty free, so I was instantly interested. This is something I'm definitely keen to incorporate into my skincare regime as all too often brands are using products that's are harmful to animals, which is never okay. Fortunately for me, the products also came with comprehensive instructions and what order to use the products in which I definitely needed! The Arbonne RE9 Advanced range contains Vitamin C and sustainable orange stem cells with anti ageing qualities. The orange stem cells help improve the appearance of skin radiance, elasticity and firmness which help provide truly healthy looking skin. 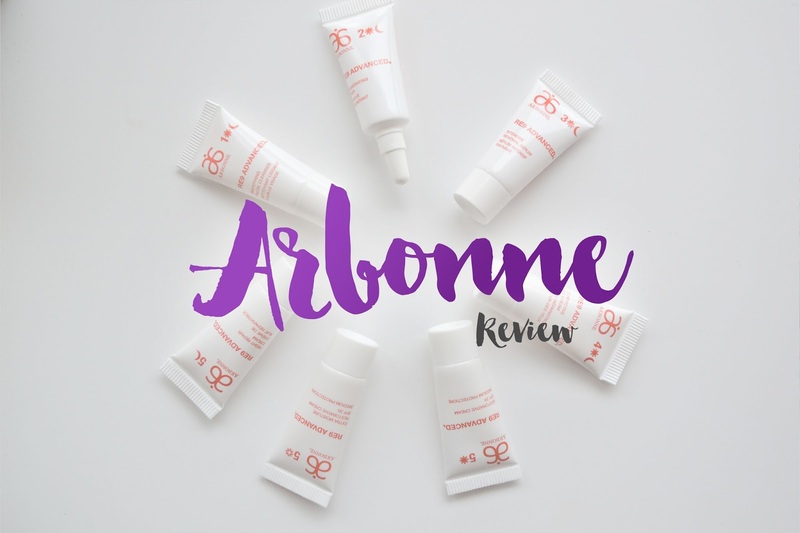 What did I think of the Arbonne RE9 Advance range? I loved it! I really enjoyed following a strict skincare routine and the products definitely helped my skin to feel clean, hydrated and nourished. I'm always a little apprehensive about trying new skincare brands because I'm worried that they're going to cause an outbreak of spots, which I don't need. However, I definitely didn't find this with the Arbonne RE9 Advanced range. As I was sent samples of the products, I only used them on 3-4 occasions so I didn't get to see the long term effects. Despite this, on their website Arbonne have before and after results from some of their customers and you can definitely see how effective the products are. Therefore, I'm sure I'd see these effects on my skin, should I use them for a prolonged amount of time. The products didn't feel at all heavy on my skin, which is often the case with some brands. They're lightly scented which is always a plus because if the scent is too strong, it's really off putting and I don't enjoy using it on my skin. The Arbonne RE9 Advanced range is a little on the pricier side. The whole range costs £299, but that does include 6 products. Having never heard much about the brand Arbonne, I'm now definitely intrigued to know more. They have a range of products, not just skincare, so it's definitely worth checking them out! Have you used any products from Arbonne? I'd love to know your thoughts!